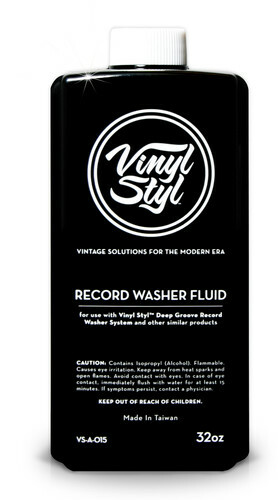 The Vinyl Styl™ Record Washer Fluid is formulated specifically to be used with our Vinyl Styl™ Deep Groove Record Washer System and other similar products. This product can be used multiple times when properly filtered and stored. 32oz.